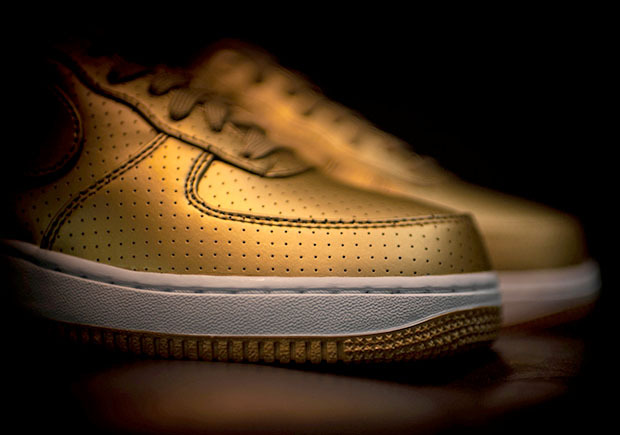 Nike Sportswear manages to squeeze in at least one more Olympic-themed sneaker before the summer games in Rio kick off with the opening ceremony this Friday, with this all-gold Air Force 1 Low. 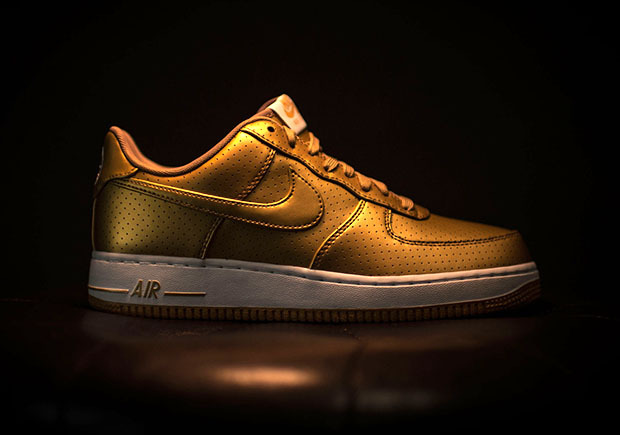 The gold medal edition of the timeless sneaker features a perforated metallic gold synthetic leather upper with a matching gold outsole. 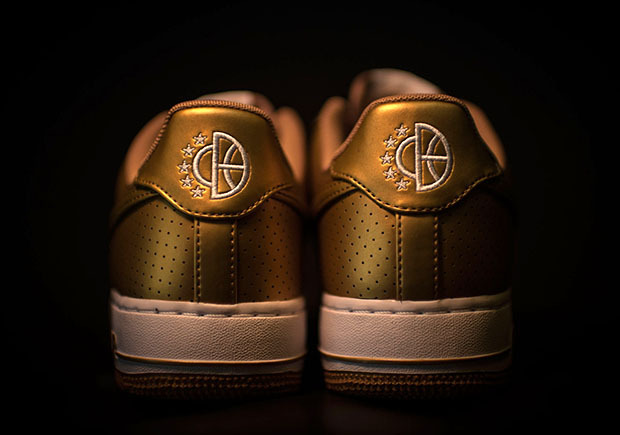 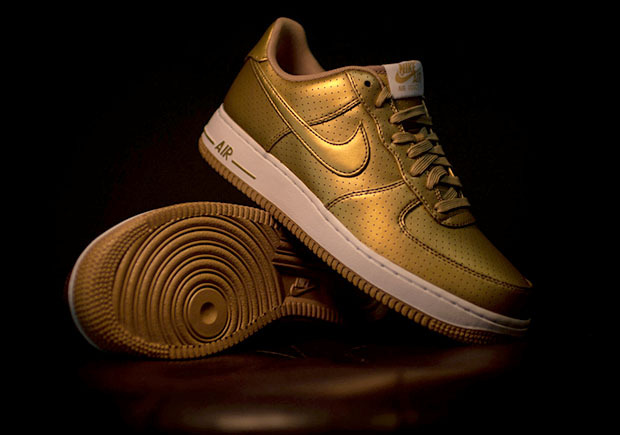 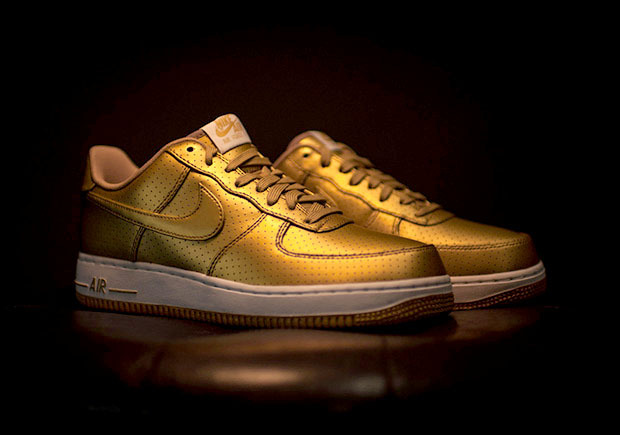 If you’re reading this you’re more than not likely going to win a gold medal this summer, but you can still go for the gold by picking up a pair of these shiny Air Force 1’s at select Nike sportswear retailers like Rock City Kicks.